When NancyJo Ralph officially became an elementary music teacher in 1969, she knew it was the start of something great. She had wanted to be an educator for as long as she could remember, and that, coupled with her passion for singing and playing the piano, clarinet and saxophone, made the career path the perfect fit. Ms. Ralph served Lakeview School District for a year before transferring to Cambridge Springs High School in the Penncrest School District as a high school music teacher from 1970 to 2000. Then, in 2000, she returned to her elementary music roots within the same district, where she stayed for five years before retiring. Although Ms. Ralph no longer serves the public education system, she has continued to find ways to share her love for music with others. She currently sings with and directs Justified By Faith, a vocal group that performs regularly and creates new music every year, and has been involved with the Red Door Ringers since 2013. They are particularly active during the holiday season, with numerous performances given every year. Additionally, Ms. Ralph still gives private piano lessons, and is a choir member and pianist for the Saegertown United Methodist Church. 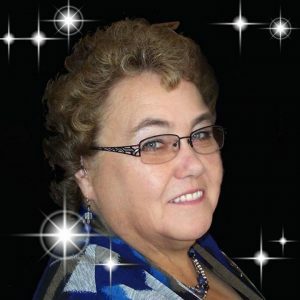 To prepare for her endeavors, Ms. Ralph earned a Bachelor of Music in education from Grove City College in 1969 and a Master of Elementary Education from Edinboro University in 1974, and completed postgraduate studies in music education at Kent State University in 1989. She also became a registered music educator, and, in an effort to ensure that she remains up to date with her industry and peers, she joined a number of prominent organizations. Notably, Ms. Ralph maintains affiliation with the Pennsylvania Music Educators Association, the Pennsylvania State Education Association and the Penncrest Area Education Association. She was part of the Tool City Bell Ringers from 2005 to 2014, and a volunteer music teacher for the Cornerstone and Penncrest Day Care Centers from 2005 to 2007. Ms. Ralph’s commitment to her students and her community has not gone unnoticed. She was named to the National Honor Roll for American Outstanding Teachers from 2005 to 2006, and was featured in numerous volumes of Who’s Who in America, Who’s Who in American Education, Who’s Who of American Women, and Who’s Who in the World. When Ms. Ralph has spare time, she enjoys reading, painting, knitting, and quilting, as well as spending time with her two children, Victoria and Erik.